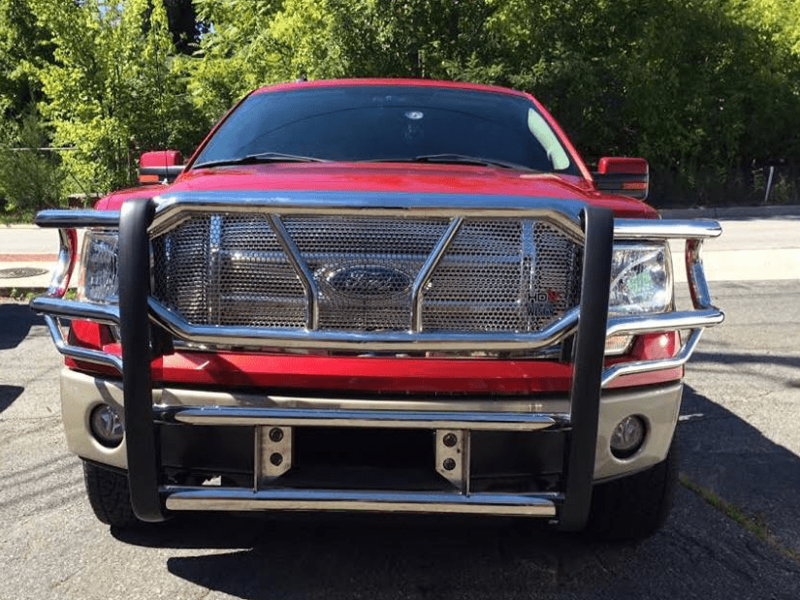 A large benefit of a grille guard is that it typically does not affect other truck accessories that are already installed on your truck, such as a tow hook. In fact, according to Trick Trucks, grill guards can actually help protect certain parts of your truck, such as the radiator that is typically behind the grille. *According to Auto Anything, the one caveat is that sometimes – due to their strength – tow hooks act as the mount for bull bars and grille guards. In these instances, truck accessory manufacturers will often include new tow hooks for use with their guards. To further enhance the look of your vehicle, most grille guards allow users to feature additional fog, driving, and off-road auxiliary lights on your trucks front end. It’s important to check specific product descriptions to ensure this is possible (not all manufacturers offer this option). By choosing a grille guard, you’ll be bringing a more rugged look to your vehicle while giving it additional lighting capabilities. According to Auto Accessories Garage, in a low-speed, low-impact crash, a grille guard or bull bar will modestly protect your front-end bumpers, lights, and grille details from damage. In some cases, a brush guard for jeeps and other vehicles can even push a sedentary object for a short distance at a low speed (though this could scratch or mark your guard’s finish). Bull bars, especially those with skid plates, can provide solid protection for a vehicle’s lower front bumper in low-speed collisions. Studies have shown that a grill guard can prevent major structural damage depending on the speed traveled and a particular animal’s size (for instance, one normal-sized deer struck at a moderate rate of speed). In such unfortunate circumstances, certain protection gains can be found. It’s important to note that larger animals (such as moose, buffalo, or elk) will do serious damage to any vehicle, regardless of aftermarket modifications. Even with a bull bar or grille guard, keep your eyes peeled whenever these animals may be present where you drive. Whether you’re looking to better protect your truck’s front-end while off-roading, or simply want to give it some style, a grille guard may be a good option. “These products, a sort of durable fence for a truck or SUV’s front end, add a desirably rugged look.” (Auto Accessories Garage) Be sure to do adequate research before selecting a grille guard manufacturer, to ensure it’s made from quality materials and will fit the specific make and model of your vehicle.